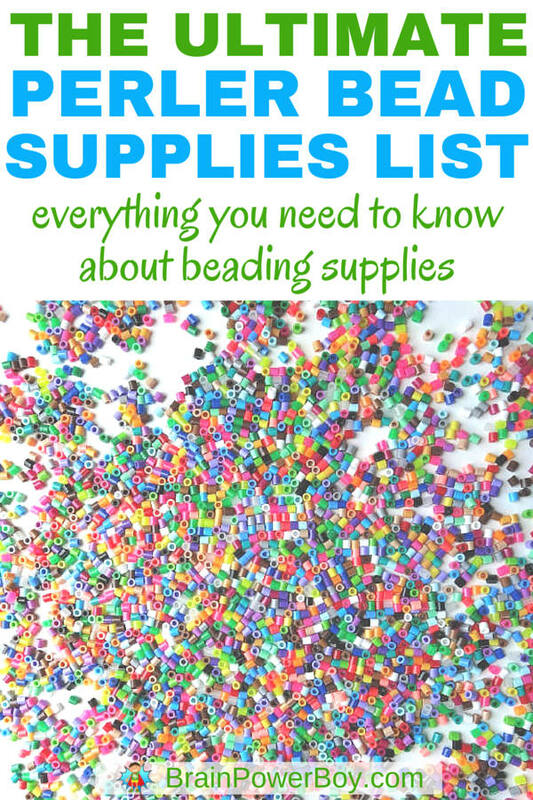 I pulled together the ultimate Perler Bead Supplies list for anyone who wants to have a good experience beading. I will tell you what is required, what makes beading easier and what is nice to have but not required. Having proper supplies on hand makes doing the projects a lot more fun. A big variety of colors lets you and your kids be much more creative. Different shaped boards give you more options as well. Be sure to check out our Perler Bead Pattern designs when you are done reading this for some neat ideas. A quick note about this supplies list. I am not listing every single Perler Bead product out there. I am just listing the best of what you really need, our favorites, a few extras and one thing I plan on buying next. This hobby doesn’t have to be expensive at all and with just a few select items you can make a LOT of different designs. Let’s start with some important information about what you should buy and what you shouldn’t! When we first got started with fusible beads it was a bit of a disaster. We didn’t actually have Perler Beads. We had some off-brand knock-off and they didn’t work at all. I had picked up a package at a rummage sale and while they said they were Perler Beads they were not the real deal. The boards in this set were wonky and the beads didn’t meet up nicely so when you went to iron them, some of them were not touching. The other thing was they didn’t iron together well at all and kept falling apart no matter how much I tried to melt them. Big fail and frustrating for both me and my child. Years later I got some real Perler Beads and we have been enjoying them ever since. I do not want that to happen to you so use the authentic brand name Perler Beads and you will have a good experience creating. Where Can You Buy Perler Beads? If you are asking, “where can you buy Perler Beads?” I will give you our favorite places to purchase. I have bought from a variety of stores. Some have better prices and some have better selection and convenience, some fit all of those guidelines. I got most of our items from Amazon. I love Amazon Prime (get your free 30-day trial here!) and use it to order from there often. They have a great selection of supplies and their prices are competitive, and many times Amazon is lower in price, especially on the big jar and the boards. This is the place I recommend getting your supplies because of selection, competitive price and speedy delivery with free shipping for PM. I have gotten a few things from JoAnn Fabric and Craft. On occasion they have a 40% off sale on beads though it doesn’t happen often. You can use a coupon if you are buying one regular priced item. I got one of our pegboard sets that way. Watch their prices though as the way they offer those great 40%/50% off coupons is to have a higher price in the first place. Hobby Lobby carries some beads and accessories and you can use their 40% off coupons on them if they are not on sale or on clearance. The selection is fine and they have more kits than some of the other choices. They are available at Walmart though many locations don’t have much on the shelves. You can order online and have them shipped to the store for free pickup if that is an option in your area. They have a good selection and good prices. There are other places to buy, but those are the best choices I have found. Let’s start with the basics. In order to use Perler Bead patterns and create some projects, you have to have the basic Perler bead supplies on hand. You will need beads, boards, ironing paper and an iron. The rest of the items are extras. Some of the extras are nice to have though! You will want to get plenty of beads. If you do not currently own any beads yet (or even if you do!) I highly recommend getting this big bead jar. It contains 22,000 beads. I know that sounds like an awful lot of beads but it really isn’t as many as you would think. I like it very much for the wide variety of colors. When we get low on one color I simply buy a single pack to add to it. Note: comes with ironing paper. Highly Recommended! It gives you the most beads for your buck. You can also get beads in kits such as this Dragons and Knights or Minions kit. Many other choices are available too. Some kids really like the kits. They are a great way to learn how to bead and include everything you need to make the featured designs. Easy! Lastly, Perler Beads come in 1000 or 6000 bead bags of specific colors. I did add to our big jar collection with packets of these. I especially like being able to add in often used colors like black and white or glow in the dark which isn’t in the jar. Perler bead boards are also know as pegboards and are needed to create your designs. When I say they are needed, I mean I need them, and so do most people. You can make designs without using a board by putting them on top of a paper design or by putting sticky paper down and putting them on that. This wouldn’t really be a great way to bead with kids as it is futsy and they are easily knocked over. I recommend using boards as they make things much easier. I like the transparent bead boards the best as you can make a design, lay the boards over it and see your design through the board which is helpful for kids and also helps a lot if you have a intricate design. Note: most bead board sets come with ironing paper. I recommend this peg board set. It has a 5.5 inch hexagon, a 5.5 inch square, a small circle, star and heart. The large square is interlocking (see below.) We ended up getting two sets of these as we liked the variety of boards and that way we could both work on a design at the same time. Another option is to get a Perler Bead square peg board set. The 4-pack is usually the best deal. It is only a little bit more money than the 2-pack and you get 2 extra boards. The pieces are interlocking so you can put them in a long row or add all four together to make a much bigger square surface. This option allows you to create much larger Perler Bead designs. Going bigger means you can have a lot more detail. If you know you want to make large designs you can get this 10.5 X 14 size board. The last board option is to get shaped boards. We just stuck with the boards in the variety pack we bought and didn’t purchase additional shape boards. Most shaped boards are not transparent. They are nice for younger kids as the shape is already there for you and you just choose your colors. The first one is inexpensive, has good reviews and is a solid performer. The second is the one to get if you are looking for an excellent small crafting iron. 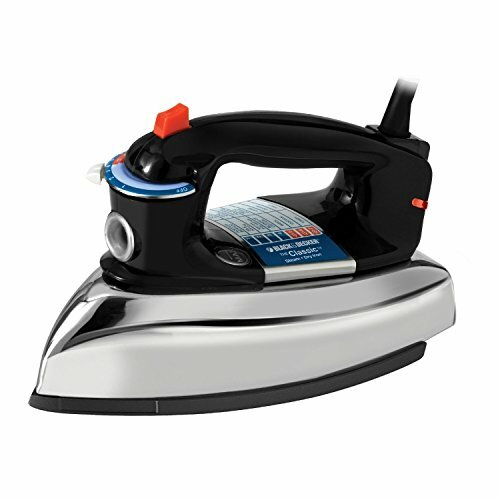 For a new take on the classic iron this heavy iron with auto-shut off is a good choice. I love the retro look, don’t you? You want to make sure you are covering your perler project completely with ironing paper (see below) or you are going to have a terrible mess on your hands as the beads will melt to the iron. 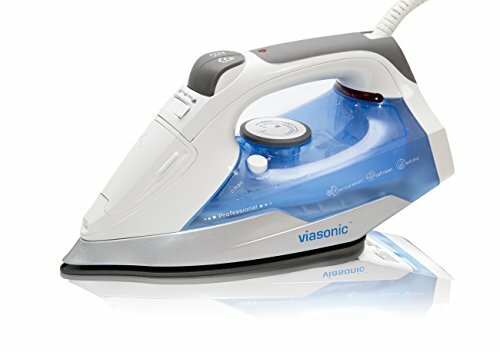 If you have an old iron you can just use that. You also may be able to pick one up at a thrift store. Be careful though as I did this and it kept shorting out, we couldn’t fix it and I got rid of it as I was afraid it might cause damage or start a fire! If you have a really expensive sewing iron, like I do, don’t use it. It is not worth the risk and you do not want to take any chances. I like the Perler brand ironing paper the best. The beads and the boards above come with ironing paper and I have not had to purchase more. When I do, I will be buying this package of paper. Their ironing paper also comes in a roll but I don’t like that idea as it will likely roll up when you are trying to iron. An alternative to ironing paper is parchment paper. It too is on a roll and I don’t think it works as nicely as the ironing paper but it does work. Don’t use wax paper. 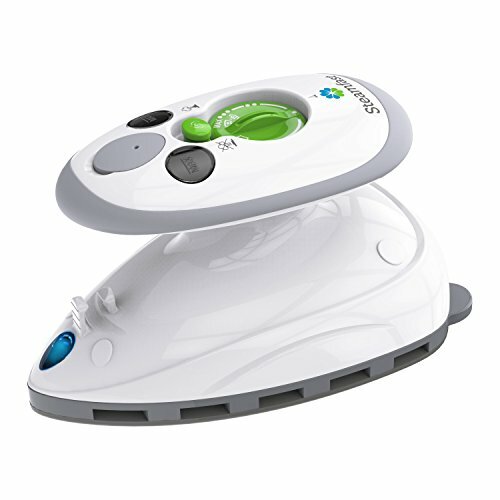 People say you can use it but you can mess up your iron and the wax gets on your beads as well which doesn’t look as nice. There are a lot of extras that you can buy to go with your beads. Below are three Perler Bead supplies that I think are worth springing for and none of them are too expensive either. We didn’t include the Perler bead pen because we don’t think it is worth getting. It does work well if you are doing a big project with one color. Other than that it is pretty useless as you have to keep loading new colors and you have to keep clicking again and again to drop a bead. I also didn’t include the Perler Bead and Carry as it is only has 8 bead cups and it is pretty big. It would be nice if you were needing to carry your project from one room to another or wanted to take a project on the go. We never do that so I don’t own it. My favorite extra that is not entirely needed but is super nice to have is a tweezers. You can buy theirs or just use the one you likely already have. I use our little metal ones and as long as the tips fit easily in the bead they work quite nice. I find tweezers helpful for making changes to designs. Say I already have part of the design done but want to change a color. I pull the beads out with a tweezer instead of having to dump out my whole board and start over. It is super tough to get them off the board with your fingers – believe me, I tried and knocked a bunch over and made a mess of my design. Perler makes a case but as I said, I don’t care for it. We like these instead. I do not sort all of our colors but I do sort some often used colors such as black, white, red, brown etc. You should look for a case that includes dividers that are movable and also that come up close to the cover of the case. Some organizers don’t work well as the beads spill over into the other compartments. The ones I linked to above is from a great brand that includes those features. Be sure to choose the number of cases you want to purchase from the drop-down menu. If you would prefer a whole unit this is the one I recommend. 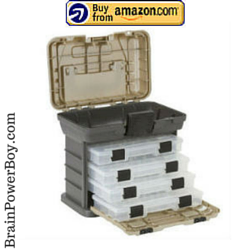 It includes a storage area at the top as well as 4 cases. Unlike most of the craft cases which tend toward pinks or pastel colors, this one is in a nice tan and brown that boys will go for. There are other supplies you can get but I named the best and the most useful Perler Bead supplies. We have been beading for a couple of years now and know what works and what doesn’t. We still enjoy beading as much as we did the first time we got the brand name beads and started creating designs. I hope you got a lot of useful information in our supplies guide and that it will help you when you are making Perler Bead purchases. You are most welcome Alli. I hope you and your boys have a great time creating with the beads.